If your equipment isn’t working, you’re not making money, so it can be a real challenge to shut a machine off for routine service and maintenance, especially during the peak working months. 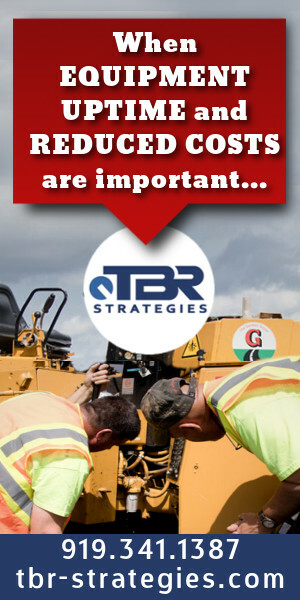 Skipping or stretching service intervals can have significant implications on the life you get from your equipment and can lead to costly repair bills down the road. To prevent this, greasing, topping off fluids, and performing routine oil changes need to be done with every machine in your fleet. 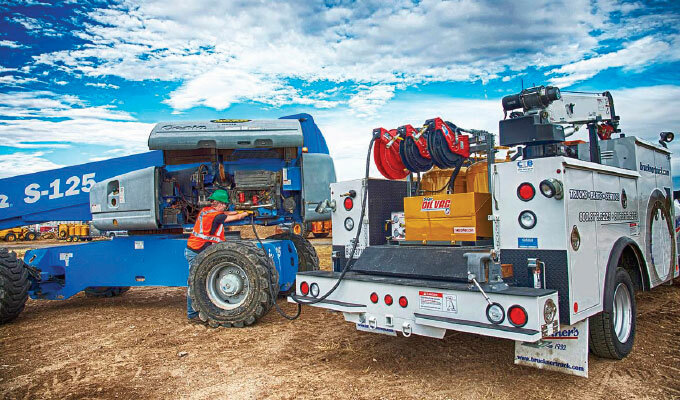 To make routine maintenance a priority and minimize the amount of time it takes to service a machine, contractors large and small, are investing in mobile lube equipment. These systems create a more efficient way to handle routine maintenance on the job and help reduce the amount of time a machine is shut down for service. 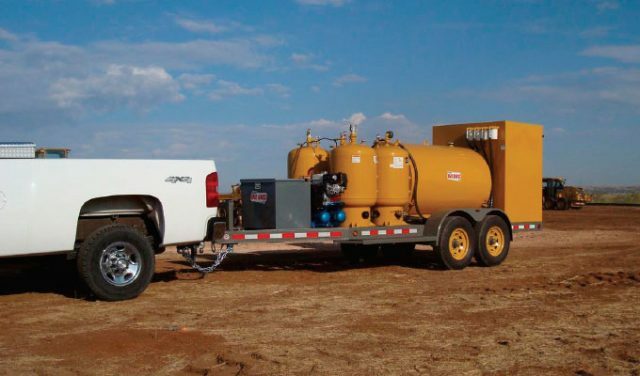 From skids, trailers and trucks to tank sizes and pumping methods, there are several factors you should consider before adding a mobile lube system. There are several brands of mobile lube systems that you can choose from. Most will have similar tank sizes and functionality. However, there is major difference in the technology used to transfer fluids, and that is what you should be paying attention to first. The majority of lube equipment manufacturers use mechanical pumps, which have several drawbacks. Maintenance and repair is the most significant one. Failing pumps that need to be replaced or rebuilt are typical of pump equipment. And, since each tank on a mobile lube system has a diaphragm and mechanical pump, maintenance and repair needs for these systems can be time-consuming and costly. A more reliable fluid system option is Sage Oil Vac’s vacuum technology, which uses compressed air to push oil out of the tank—no pump required. To fill the tanks or to suction up used oil, you simply need to reverse the process to create a vacuum within the tank. When the valve is opened, suction is created as the tank equalizes. It’s a much faster process than what you’ll get with a mechanical pump. Since there are no moving parts inside the tanks, vacuum systems are completely sealed. Mechanical pump systems require air breathers so that tanks can vent, which can lead to contamination over time. Mobile lube equipment tank size can range from 10 gallons all the way up 250 gallons and will typically include two to eight different tanks. The size and number of the tanks you need is dependent on the size of the equipment in your fleet and what you intend to do with your mobile lube system. If your company primarily operates compact equipment, like skid steer loaders and compact excavators, that are being frequently trailered from job to job, you may want to invest in a small lube cart that can be easily wheeled around the shop. Using a small lube system will help speed up oil changes, as well as keep you, your equipment, and your shop floor clean. For routine onsite maintenance, you need to decide what volume of service you want to do. For example, if you’re just looking to top off fluids in the morning and grease machines, you can get by with lube equipment with smaller capacity tanks, and the number of tanks you’ll need is determined by the different fluids your equipment requires (motor oil, hydraulic fluid, DEF, etc.). Performing 250-300-hour preventive maintenance (PM) on the site will require more fluids, and you’ll need a larger waste oil tank. If you would like to do 1,000-2,000 PMs in the field, you need even larger tanks. Keep in mind, if you operate a larger fleet of equipment, you may want to invest in a few different lube systems: one system that stays onsite for topping off fluid levels and another that travels with the service technician for performing oil changes. Determining your tank size and quantity needs will also help you decide your best mounting choice. You can choose between a dedicated truck, lube body, a trailer, a skid, or retrofitting your own service vehicle. To decide which option is right for your needs, you need to look at the way your crew works. If your typical workload involves working on the same site for long stretches of time, then you may want to consider a mounted skid system. If you would prefer a system that can top off fuels, as well as refuel equipment onsite, a fuel and lube trailer may be what you should consider. For performing more substantial service interval preventive maintenance, a lube truck or body will allow you to carry larger volumes of fluid. You can also add mobile lube equipment to your existing service truck using the Sage Oil Vac Lubebuilder system. You choose the number and size of tanks based on your space available and your needs. Sage will then send you all the necessary parts and components for you to install the system. The Sage Lubebuilder system is an excellent option for performing frequent oil changes in the field for small equipment. Also consider your jobsite locations. If you’re working on projects where your working area is tight, you’ll want something small with maneuverability. If you’re a utility contractor who has equipment in several locations, you’ll want a system that can be easily transported to each location. Your equipment works hard for you, so you should make sure you do everything you can to maintain it properly. Investing in mobile lube equipment won’t just save you time when performing oil changes, it also lets everyone on your team know you are serious about taking care of your machines. 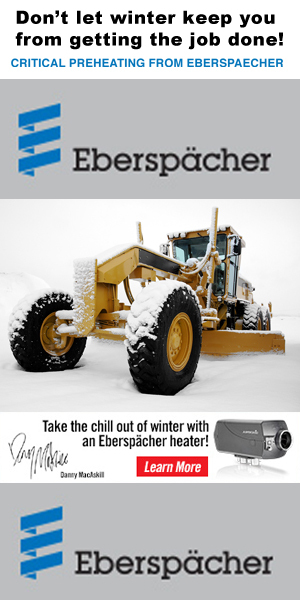 With the ability to change fluids on the job, operators will be less prone to stretching service intervals. Your service technicians will be able to do a better job of keeping up with needs of all the equipment in your fleet because they are no longer lugging around oil barrels or 5-gallon jugs of oil. Aaron Sage is CEO of Sage Oil Vac; content provided by Sage Oil Vac of Amarillo, Texas. Mobile lube systems save time, help reduce expenses and will help keep your team and equipment productive. Make sure you choose the right one for your needs. For more information, visit www.sageoilvac.com or contact a dealer. 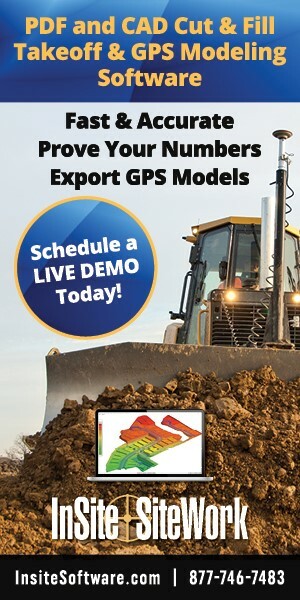 Subscribe to the FREE Digital Edition of Modern Contractor Solutions magazine.